Homegrown movies such as Room and Hyena Road, TV hits Schitt’s Creek and Orphan Black, and digital productions from the NFB and the CBC are among the nominees for the 2016 Canadian Screen Awards that were unveiled in Toronto this morning. Oscar-nominated Room, Afghan war story Hyena Road, and noted TV shows Schitt's Creek and Orphan Black lead the race for the upcoming Canadian Screen Awards. Actors Lyriq Bent and Aislinn Paul unveiled the latest batch of nominees during a morning event hosted by the Academy of Canadian Cinema & Television in Toronto on Tuesday. The powerful captivity drama Room, an Irish-Canadian co-production adapted from the bestselling novel by Emma Donoghue and one of this year's Oscar nominees, led film contenders. It earned 11 nominations, including for the London, Ont.-based author's screenplay, best motion picture and its leads: Brie Larson and Jacob Tremblay. Close on its heels is the gritty Paul Gross war tale Hyena Road, which earned eight nominations, and Anne Émond's sensitive, French-language family drama Our Loved Ones (Les êtres chers), with seven nominations. Best picture:Brooklyn; Corbo; The Demons; Felix and Meira; The Forbidden Room; My Internship in Canada; Our Loved Ones; Remember; Room; Sleeping Giant. Direction: Philippe Lesage, The Demons; Maxime Giroux, Felix and Meira; Anne Émond, Our Loved Ones; Lenny Abrahamson, Room; Andrew Cividino, Sleeping Giant. Lead Actor: Maxim Gaudette, Our Loved Ones; Christopher Plummer, Remember; Rossif Sutherland, River; Jacob Tremblay, Room; Jasmin Geljo, The Waiting Room. Lead Actress: Leah Goldstein, Diamond Tongues; Hadas Yaron, Felix and Meira; Karelle Tremblay, Our Loved Ones; Céline Bonnier, The Passion of Augustine; Brie Larson, Room. Supporting Actor: Waris Ahluwalia, Beeba Boys; Tony Nardi, Corbo; Irdens Exantus, My Internship in Canada; Nick Serino, Sleeping Giant; Patrick Hivon, Ville-Marie. Supporting Actress: Balinder Johal, Beeba Boys; Mylène Mackay, Endorphine; Christine Beaulieu, The Mirage; Joan Allen, Room; Cynthia Ashperger, The Waiting Room. CBC-TV comedy Schitt's Creek, the fish-out-of-water series created by father and son Eugene and Dan Levy, led the field with 14 nominations in the TV categories and one in the digital section. Critically acclaimed sci-fi series Orphan Black, a perennial favourite starring Tatiana Maslany, followed with 13 nods. Other top contenders include police drama 19-2 (12 nominations), school-set comedy Mr. D (12 nominations) and the epic miniseries The Book of Negroes (11 nominations in television and one in digital). Best Drama: 19-2; Blackstone; Motive; Saving Hope; X Company. Best Comedy: Mr. D; Mohawk Girls; Schitt's Creek; Tiny Plastic Men; Young Drunk Punk. Best Local Newscast:CBC News: Nova Scotia at 6; CBC News Toronto; CTV News Vancouver at 6; Global BC News Hour. Best National Newscast:CBC News: The National; CTV National News with Lisa LaFlamme; Global National News. Best News or Information Series:16x9; CBC News: Marketplace; the fifth estate; W5. Best Cross-Platform Project, Fiction:The Book of Negroes Interactive; Corner Gas: The Movie; Murdoch Mysteries: The Infernal Device; Schitt's Creek Webisodes. Best Original Interactive Production Produced for Digital Media: Highrise: Universe Within (National Film Board of Canada); Interactive Haïkus (National Film Board of Canada, ARTE); Together Tales presents Capes in the Family (Stitch Media); Way to Go (National Film Board of Canada, France Television). TV programming such as Schitt's Creek, Mr. D, The Book of Negroes, X Company, Young Drunk Punk, Strange Empire, This Hour Has 22 Minutes, King John, Rick Mercer Report, Blind Spot, Still Standing and King Lear. TV news programming such as The National, Marketplace, the fifth estate, CBC News Toronto and CBC News Nova Scotia at 6. Special events such as CBC's coverage of the 2015 Pan Am Games. Digital cross-platform projects for programs (e.g., The Moblees, The Book of Negroes, Murdoch Mysteries, Schitt's Creek) and news initiatives such as the CBC News Missing and Murdered Indigenous Women project. The complete list of nominees in all categories is on the academy's website. 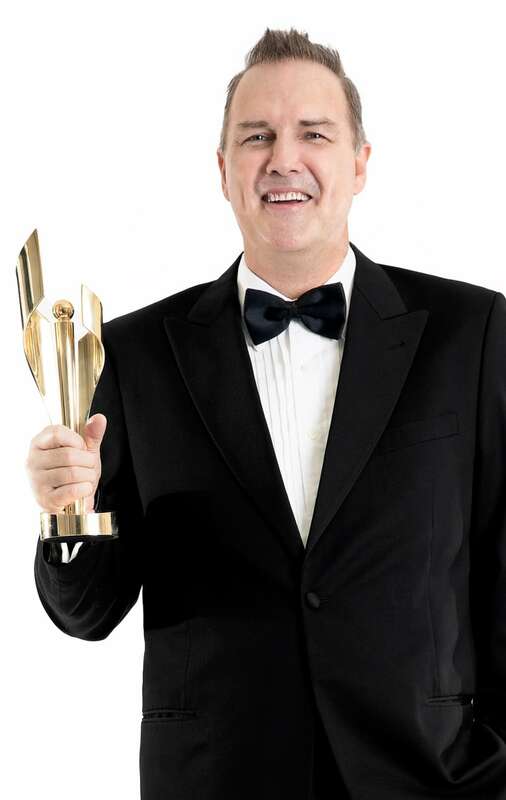 Hosted by comedian Norm Macdonald, the 2016 Canadian Screen Awards gala (part of the wider Canadian Screen Week celebrations) in Toronto will take place March 13 and air on CBC-TV. This year's festivities will include a tribute to comic actor and past CSA host Martin Short, who will be honoured for his exceptional contribution to the Canadian film and TV industries over his lifetime.